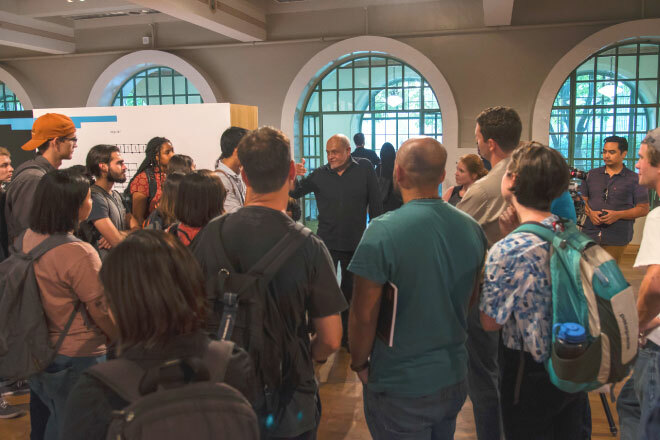 The University of Texas School of Architecture is the latest stop for Balmond’s international travelling informal exhibition. The highly anticipated event kicked off with a lecture on innovative design thinking. 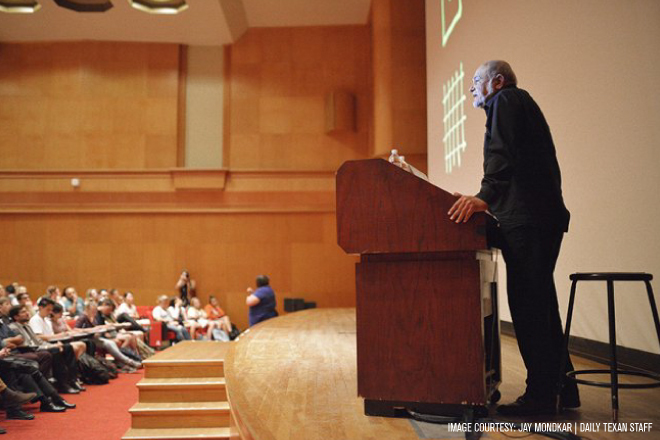 Visitors experienced a firsthand account of Cecil’s exploration into progressive architectural design involving pattern, geometry, mathematics and science, unravelling an ideology that challenges conventional understanding. The exhibition extracts these ideas from the award-winning book informal and presents them in an individually styled physical narrative that adapts to it’s surrounding space. 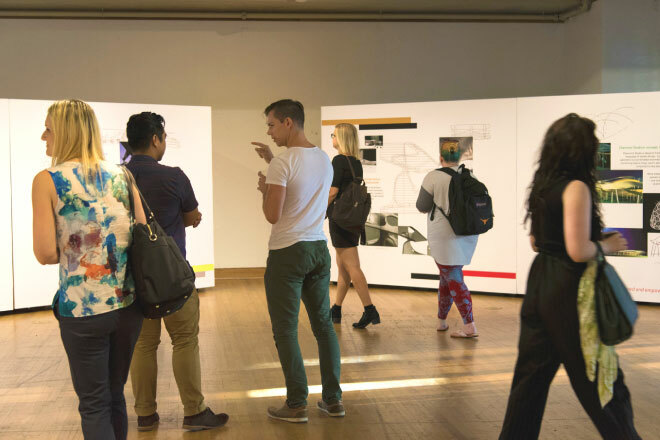 informal is on at the Mebane Gallery, Goldsmith Hall, open to the public, until the 04th October 2017.